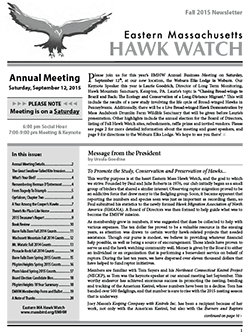 We publish substantial reports on each spring and fall migration. 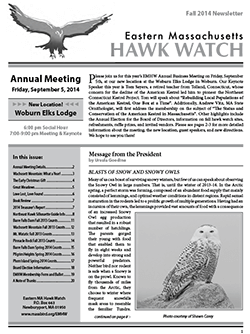 Members receive one club newsletter and one seasonal report each year, as part of their membership dues. 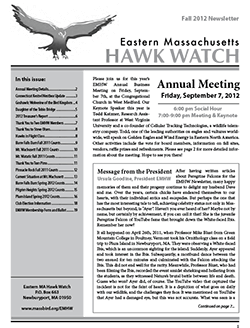 For that reason, we do not post either the current year's newsletters or reports on the web site. 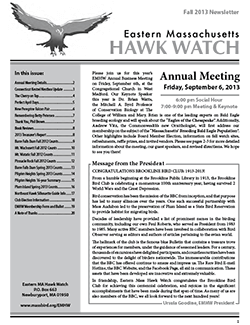 You may view previous years' newsletters below. 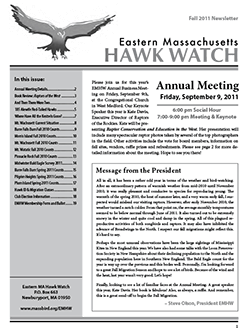 Printed copies of individual reports or newsletter, or reports and newsletters for previous years, can be ordered by sending your request along with your name, address, and check made out to EMHW, PO Box 663, Newburyport, MA 01950. 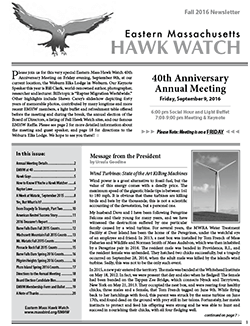 Each report or newsletter is $3.00, including postage.